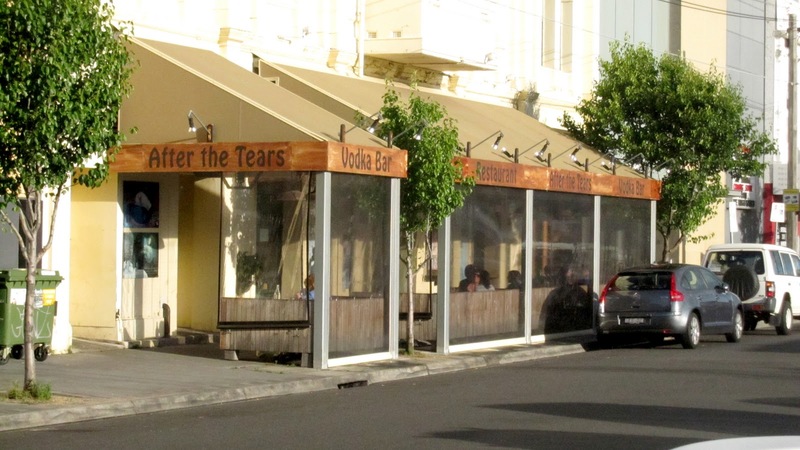 After the tears is a restuarant and a Vodka Bar, they proudly mention there list of over 100 Vodkas. Wasn't I glad I did stick my hand up for designated driver he he he. 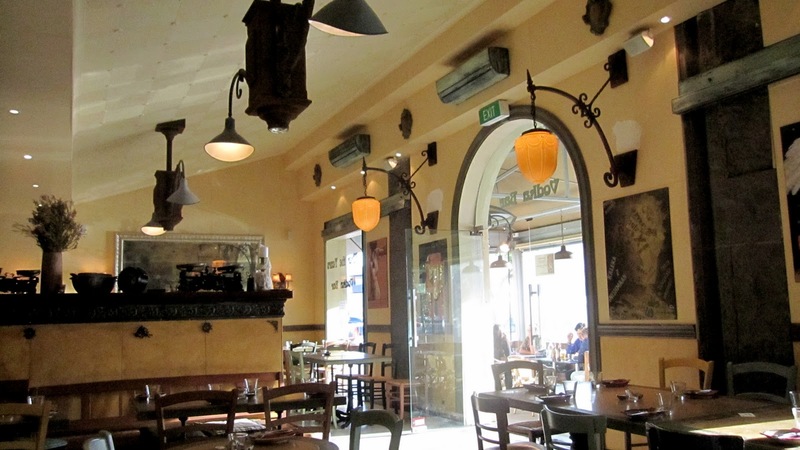 Inside the restaurant it had a lovely warm feel, and was decorated nicely. 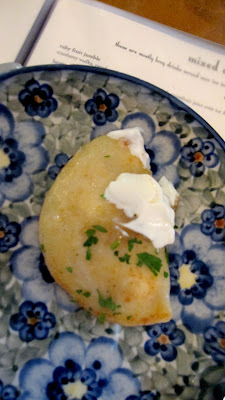 We sat down and were given our menus straight away, I quickly thumbed throught the Vodka pages ( but i'll be back though) to find those illustrious little Pierogis. They were good, really good. Topped off with the creamy sour cream and sweetness of the caramalised onions. Good flavour, soft and not stodgey like I was expecting. They consisted of chicken mince and diced vegetables in a hearty tomato sauce laced with paprika and herbs, it was served with rye bread. 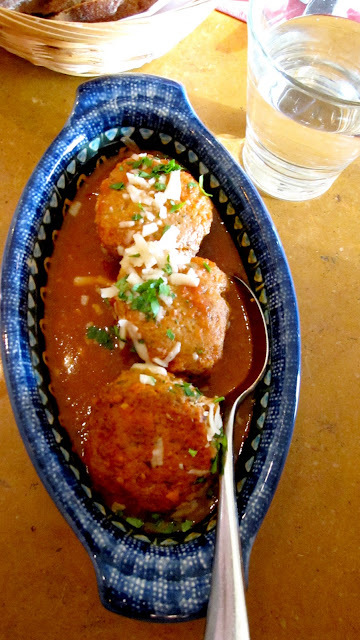 This dish was great but a lot harder to share 3 meatballs between 4 people but we did 'politely' as we could. I did find the sauce quite salty, lucky i'm quite the salt fiend, but people not big on salt may not enjoy it. We all agreed we could order another plate of the Pierogis and Meatballs and be really happy. But we would push on with the mains, as trying new things is what it is all about. I order the Veal Goulash $22. 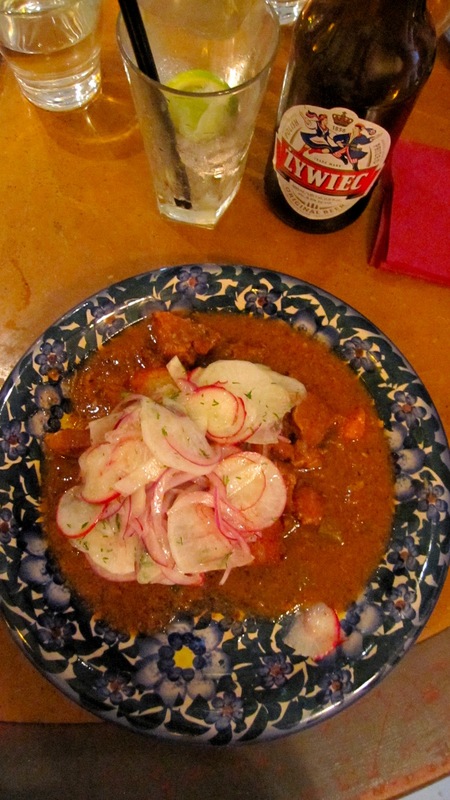 It came incased in a deliciously crispy potato pancake and topped with a 'zingy' white radish and red onion salad. I enjoyed this. The meat was beautifully tender and the potato pancake was great to sop up the rich sauce ( unfortunately pancake was hidden under the radish salad) The salad was a refreshing change to the meal and cut through the rich paprika sauce. The Polish Sausages $22. 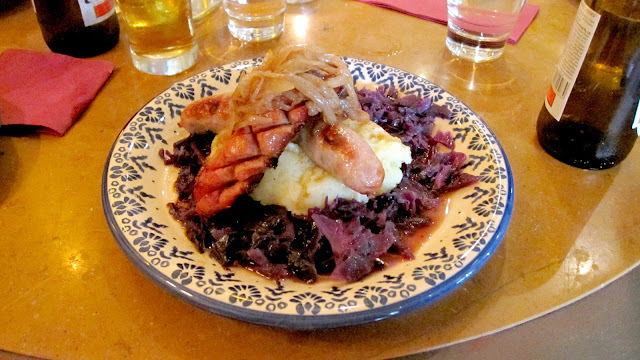 A char grilled Kransky and a white Polish Sausage on a bed of roasted garlic and olive oil mash potato & braised red cabbage, caramelised onions and Jus. 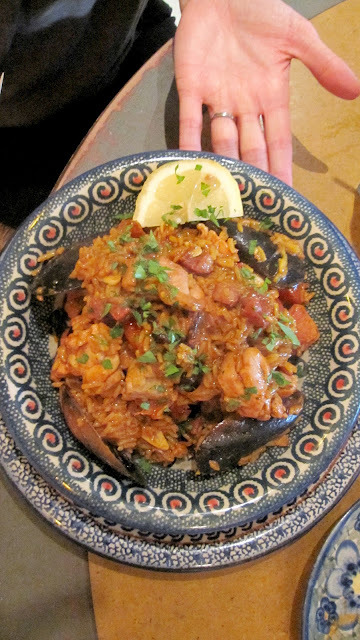 Now is it just me or does anyone else think having a Paella on a Polish menu Bizarro...? Anywho LZ was really after the seafood. This was okay, it did have a generous amount of seafood and plump chicken pieces although i think the large semi sun-dried tomatoes were a bit of overkill.